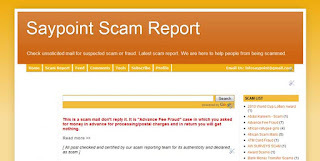 SayPoint is one of the leading site in reporting scams and fraud on net. Beside it also contains many useful and informative topics. Now onward all the scam reports of this site has transferred on new address. This has done for improving scam reporting service. In recent few months number of scam has increased tremendously. 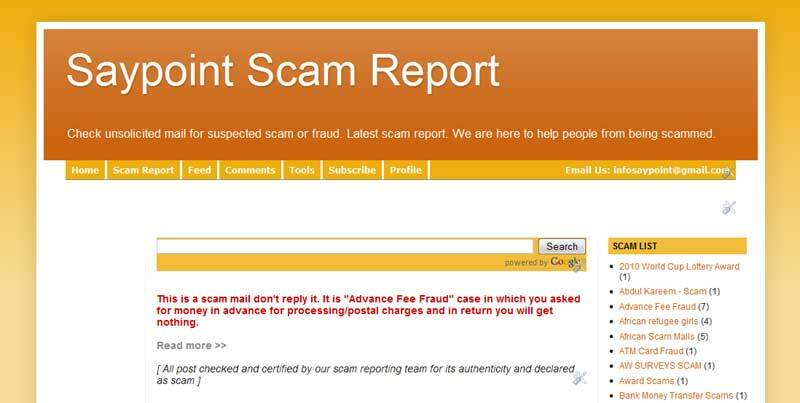 One can find latest report of scam/fraud mails here. SayPoint Scam reporting is appreciated by most of you visitors. Many visitor came here in search of authenticity of their unsolicited received mail and get attached with the site. Many of them also contributed in reporting scam to help other innocent friends. Suggestion from your side is appreciated. I personally and all SayPoint team member thankful to visitors attached with the site.